The snowflakes dance in the plains of silverywhite. 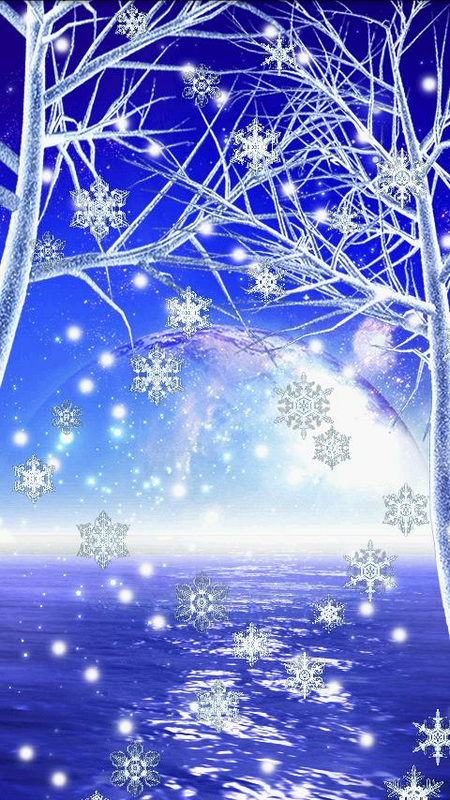 The crystal of beautiful snow fall in the fantasy wallpapers ofseven types and your wallpaper. This app can be used "DreamMonday Family Points". Lucky crystal live wallpaper, a fun way to improve affection andenergy.You can also change different color themes, crystal colorsand length of the string.If you like this wallpaper, please supportus by buying Pro version with more themes andfeatures.https://play.google.com/store/apps/details?id=com.xllusion.livewallpaper.luckycrystalproFeatures-6 themes- 6 crystal colors- Change size of crystal- Change lengthof the string- Hide string- Smooth the edge of crystal- Interactwith crystal- Parallax effect option for background image- Supportmost resolutions including Android 3.0 tabInstructionHome ->Menu -> Wallpapers -> Live WallpapersNote: It is livewallpaper so you can't open the app, you will need to follow theinstruction above in order to set the wallpaper. If you have putthe app on SD card and restarted the phone, the wallpaper willreset to default since the system couldn't find the app first. Live wallpaper that renders random fractals with random colours. Atfirst a thumbnail is drawn and then it gets more details. When thefractal is perfect it starts over and over again. The applicationis using sophisticated algorithm and is saving your battery. Crystals live wallpaper. Tap the crystal breaks. Faces are brightglare treatment. Full version function - Number of crystals, type,size, speed, direction setting - Set background color freely. -Image files can be set to the background The communication networkis allowed for advertising. Other communication is not done. Thefree version is displayed on the upper to "free" for 24 hours afterinstallation. To use: HOME > MENU > Wallpaper > LiveWallpapers NOTE: Android 2.1 version returns the default screen orblack screen when the live wallpaper is updated. Please reconfiguremanually the live wallpaper. 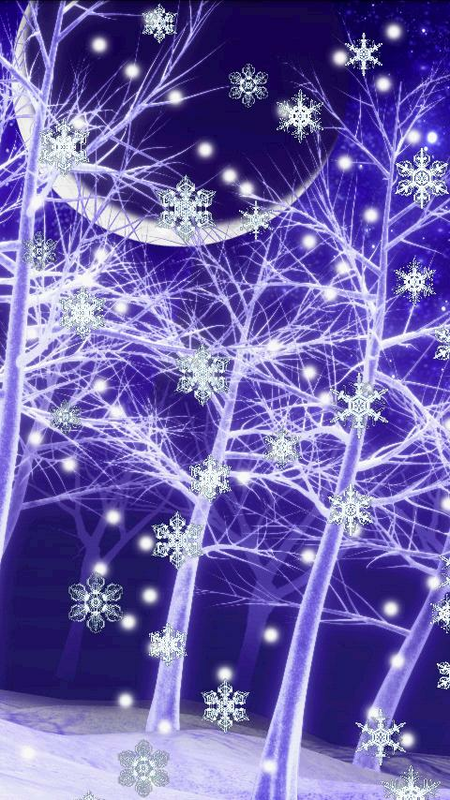 Beautiful Snow Live Wallpaper!Change snow density:Change the number of snows with the SnowLive Wallpaper on the screenChange snow speed:Change the speed of the snow with the SnowLive Wallpaper falling from the skyChange star density: Change the number of stars with the SnowLive Wallpaper on the screenChange frame rate:Change the frame rate of the Snow LiveWallpaper if you experience lagLow battery drain,no lag,free,simple but beautiful.Hope youlike. Live wallpaper featuring glittery crystal! You can tilt and movewith the tip of your finger. Let's decorate your smartphone screenwith lovely glittery crystal! *Custom options are: +Number ofcrystal can be chosen from 1 to 50. +Crystal can be chosen from 8colors (19 colors for full version). +Crystal can be moved bytilting the screen. +To reduce power consumption, please turn offthe accelerometer configuration. (Crystal will move with the tip ofyour finger) +Sparkling effect on the touched area. +Backgroundimage can be chosen from 9 patterns (13 patterns for full version). *Crystal colors +Clear, Blue, Pink, Green, Purple, Red, Yellow,Colver Green (Round shaped crystal only for free version. And alsonew kind will increase by tweet on Twitter!) *Background patterns+Black, Blue, Pink, Mermaid, Pink Marine Flower print Red, Flowerprint Pink, Christmas 1, Christmas 2 # The following additionaloptions are for full version. *4 types of additional backgroundpattern. +Green, Purple, Rose, Violet *Allows you to set thebackground image of your choice. +How to set: 1. Select "SelectUser Image" from settings menu. 2. Choose an image from "Gallery"etc. 3. After the setup screen shows up, choose "on" for "UserImage" to complete. *7 colors for heart typed crystals are added.+Clear, Blue, Pink, Green, Purple, Red, Yellow *4 colors ofcrystals which do not come out unless tweet on free verson. *How toset the Live Wallpaper: 1.Press the MENU hard key button at theHome display. 2.Select "Wallpaper" at the menu. 3.Select "Livewallpapers" on popup menu. 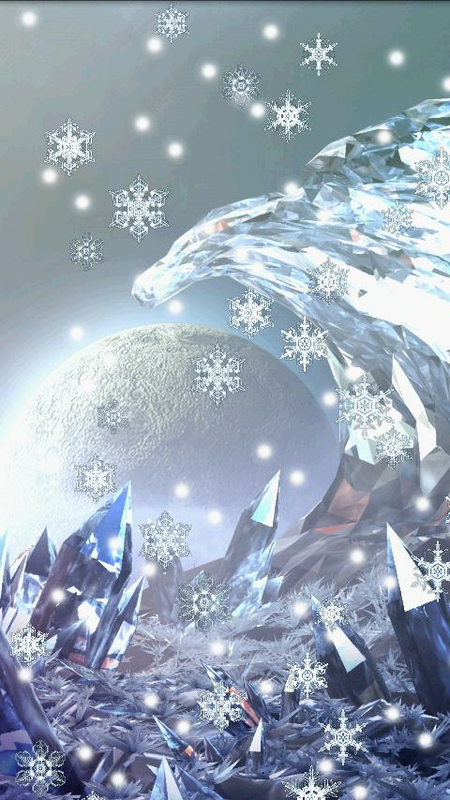 4.Select "Crystal Wallpaper(Free)" fromthe list. 5.Tap the "Set wallpaper" button at the display.